Although the Bishop's Palace at Lincoln is in ruins it is still a great place to visit and envisage it's former glory, especially as it is situated by the magnificent Lincoln Cathedral. Almost 850 years old, the sprawling structure was used as a medieval bishops’ house, making it one of the country’s most important buildings. It was built shortly after William I’s major building programme started following the Conquest. According to historians, the programme helped turn the “thriving town” of Lincoln into an “important military and ecclesiastical centre”. The earliest record of the site dates back to a charter of King Stephen between 1135 and 38. Building of the palace was completed by 1163 and was one of the first to be built in England in what was then considered a “new gothic style”. Built on hillside terraces and standing almost in the shadow of Lincoln cathedral, it boasts sweeping views over the ancient city and neighbouring countryside. The undercrofted West Hall, initiated by Bishop St Hugh and completed in the 1230s, is considered by experts to be its most impressive feature and still survives today. It was the administrative centre of the largest diocese in medieval England, which stretched from the Humber to the Thames, after its headquarters were moved from Dorchester-on-Thames. 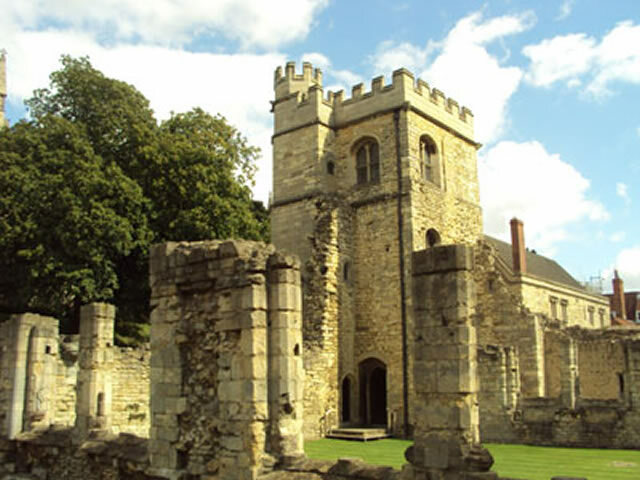 The bishops of Lincoln owned a number of residences throughout the areas and initially stayed at the castle when conducting duties. Based on continental bishops’ residences, it included a two-storey block that was divided to create a private quarter for bishops and a public hall. Historians say its architecture reflected the enormous power and wealth of the bishops as “princes” of the church. The chapel range and entrance tower were built by Bishop William Alnwick, who modernised the palace in the 1430s. The Palace was badly damaged during the English Civil War between 1642 and 1648, after it was set on fire and sacked. After it was abandoned, it was later leased to private individuals who converted the surviving buildings into residences. 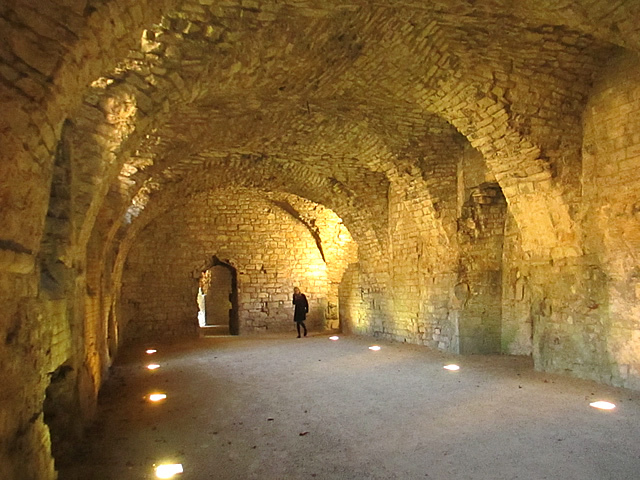 It is now considered one of the most significant medieval ecclesiastical ruins in Britain. Maintained by English Heritage, the earliest surviving ruins date to the twelfth century and other parts of the remains are of the thirteenth century. The palace also boasts one of the most northerly working vineyards in Europe. There is no wheelchair access to the site, however the Exhibition has level access. Exhibition displays include a subtitled audio-visual tour of the palace and the garden for those unable to negotiate the site. There is a level path and seating within the garden. For the visually impaired The Heritage Garden contains many scented plants including lavender which can be touched to release its scent. Care must be taken due to the stairs being stone. One male/female/disabled toilet. Assistance dogs are welcome. The free audio tour guides you through the whole site, and describes the evolution of the buildings throughout the tenure of the different Bishops. Transport: Lincoln Central (National Rail) then bus or 20 Minutes. Bus Routes : 800 and WR stop outside.